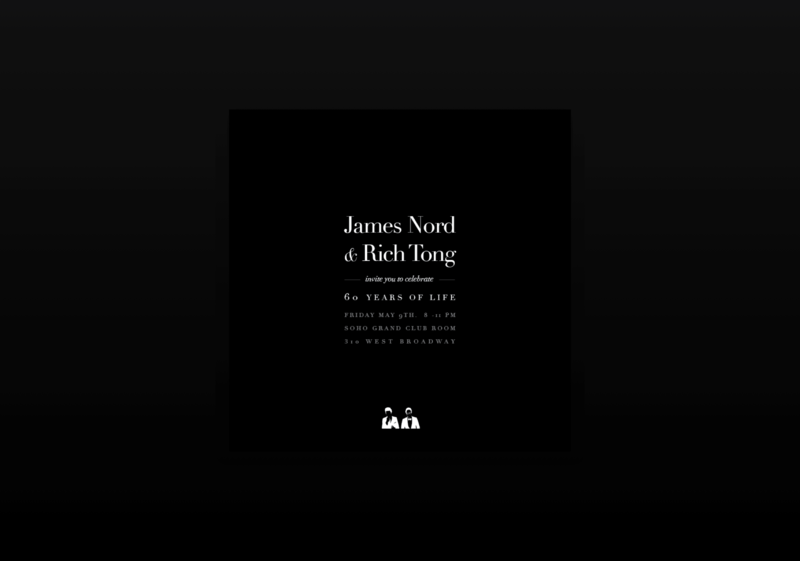 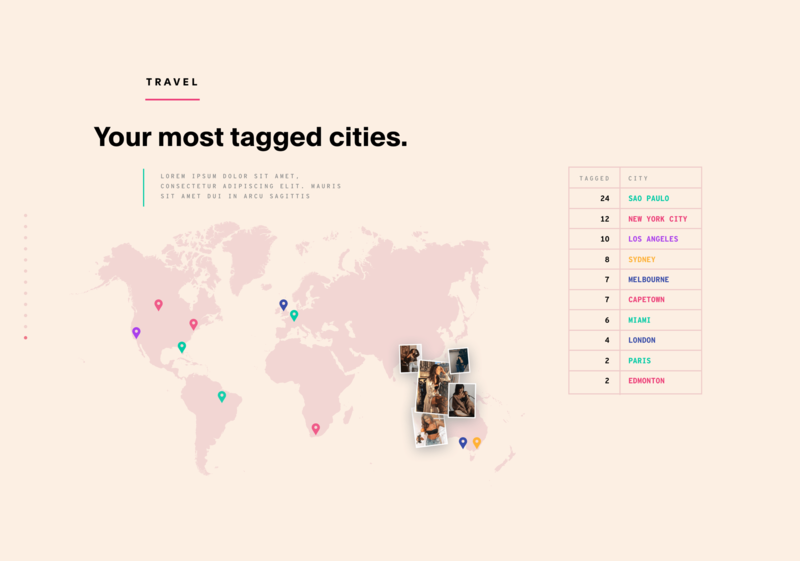 I’m Richard Tong, a designer & developer born and raised in Naperville, Illinois, and now living with my wife, my daughter, and my dog in Brooklyn. 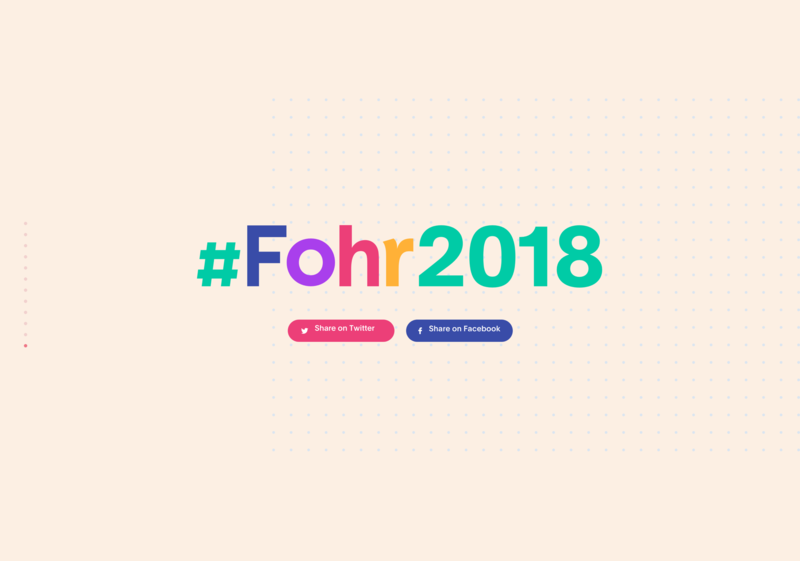 Today, I'm the cofounder and Chief Product Officer of Fohr, an influencer marketing platform, leading the design & development of the product. 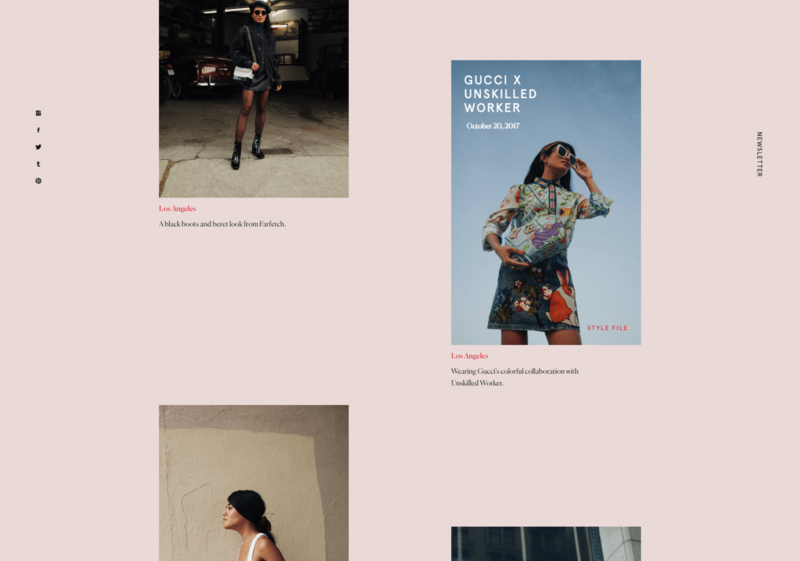 Previously, I cofounded Weardrobe, a fashion community for people to share photos of their daily outfits. 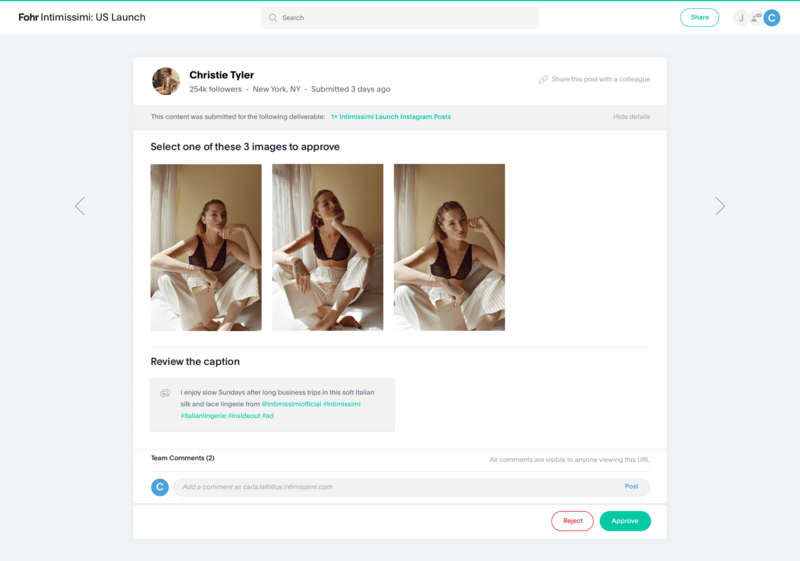 Weardrobe was acquired by Google in 2010. 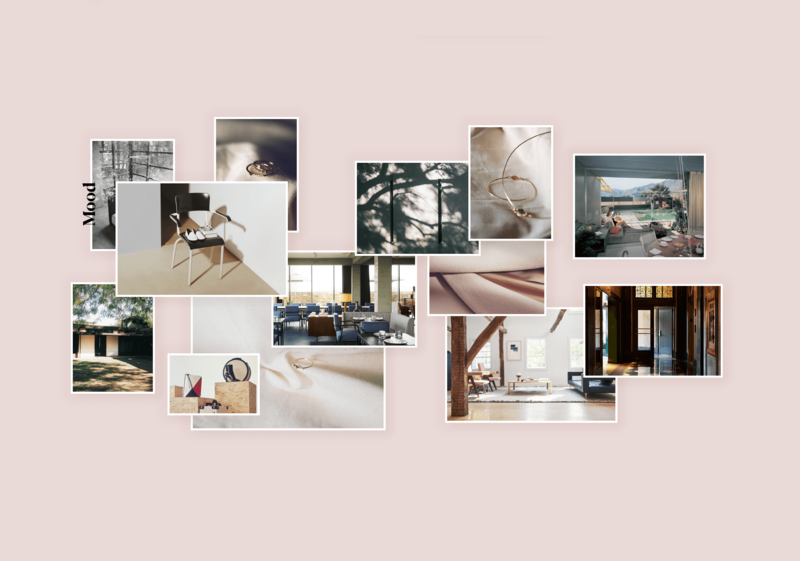 I’ve been fortunate to have the opportunity to create meaningful products with some incredible teams and individuals, including Chanel, Tumblr, UNICEF's Voices of Youth, Lighthouse Creative, Feminist Fight Club, NYT Gender Editor Jessica Bennett, Olivia Lopez of Lust for Life, and Jessica Stein of Tuula. 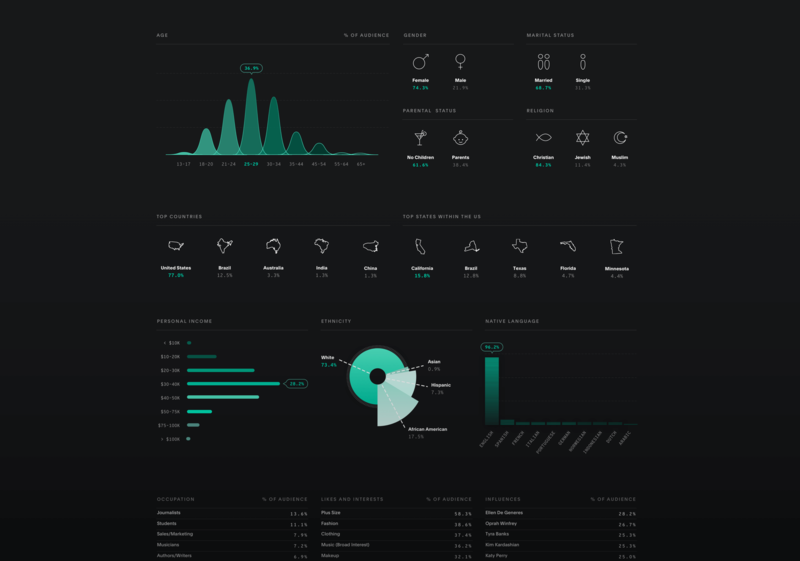 Fohr Reporting - A comprehensive, automated report for each of our client's campaigns. 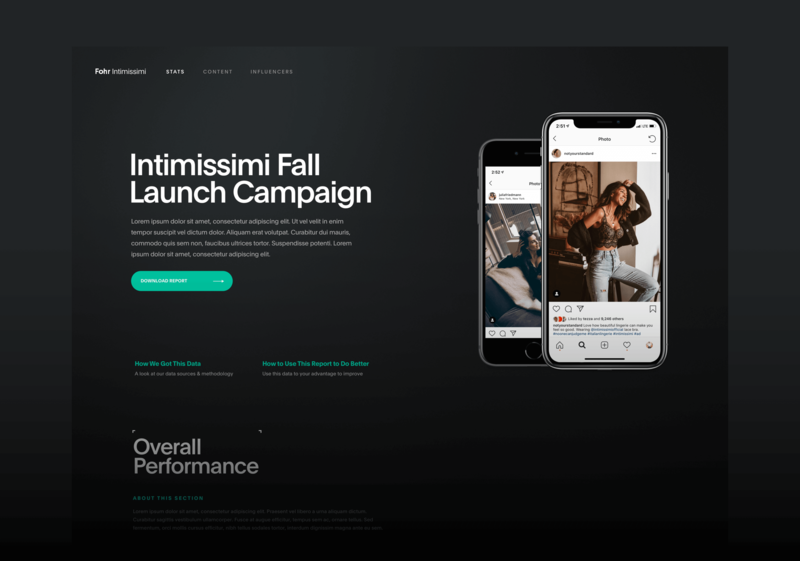 Over the past few years of executing influencer campaigns, our team has manually and pain-stakingly produced hundreds of reports for our customers. 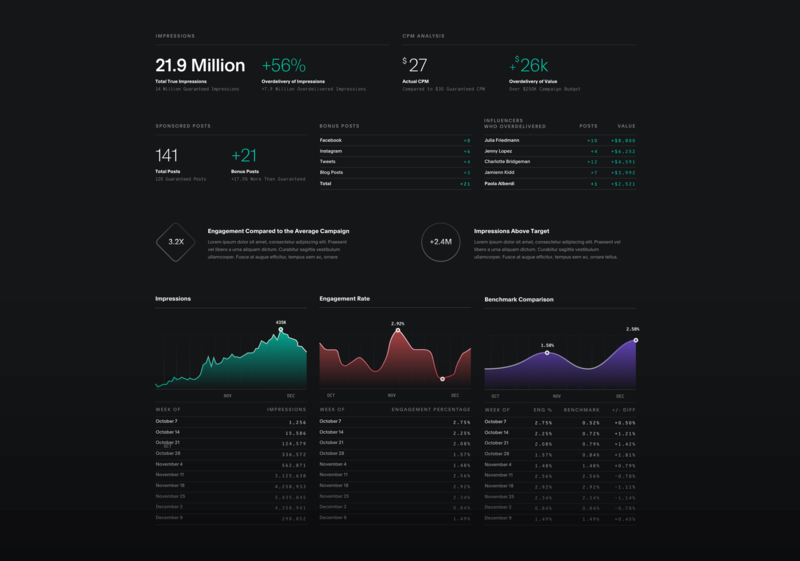 In designing a new reporting system, our goal was to create something that delivered on two fronts - functionality and value. 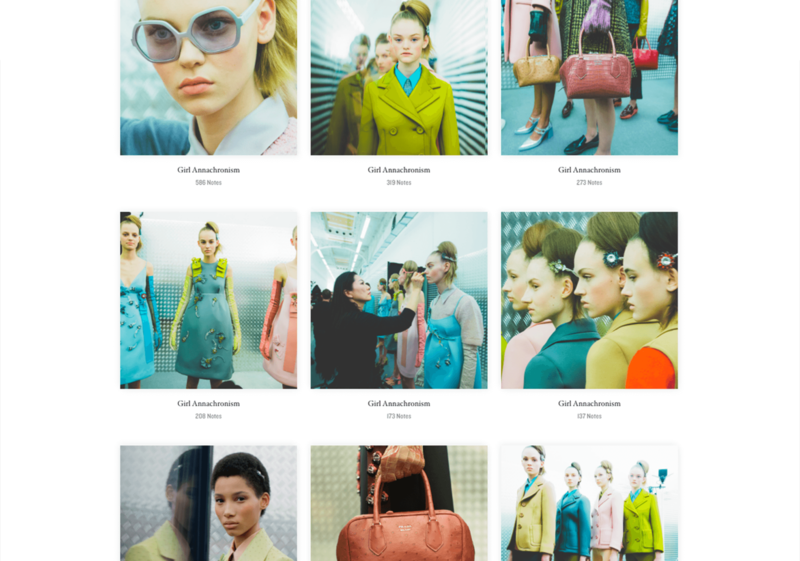 Something that functionally organized all facets of a campaign’s performance, and simultaneously did so in a compelling way that delivered meaningful value against the high dollar budgets our customers were spending. 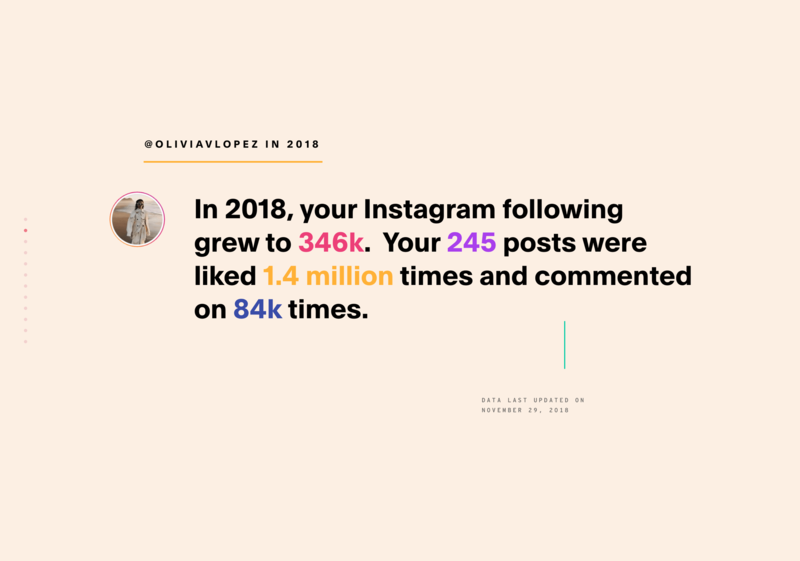 Fohr Year in Review - A personalized look at 2018 for influencers. 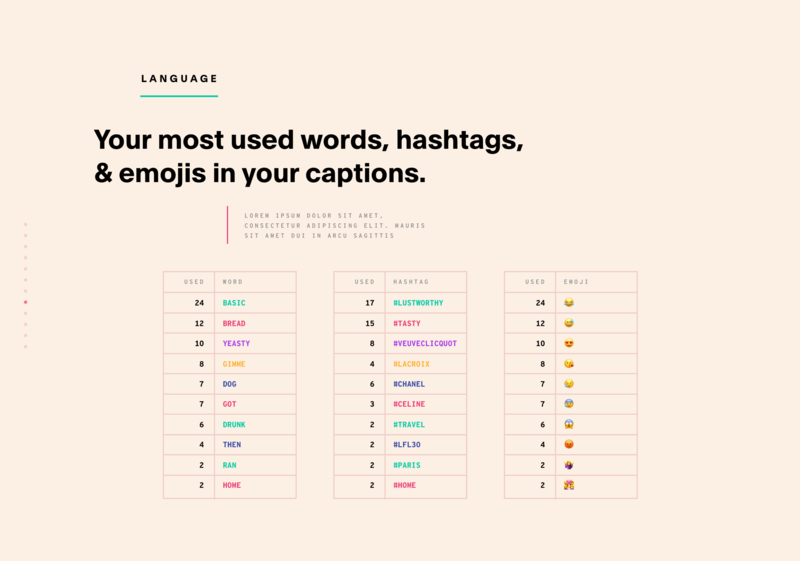 Every year, we always see every influencer posting their "Top 9." 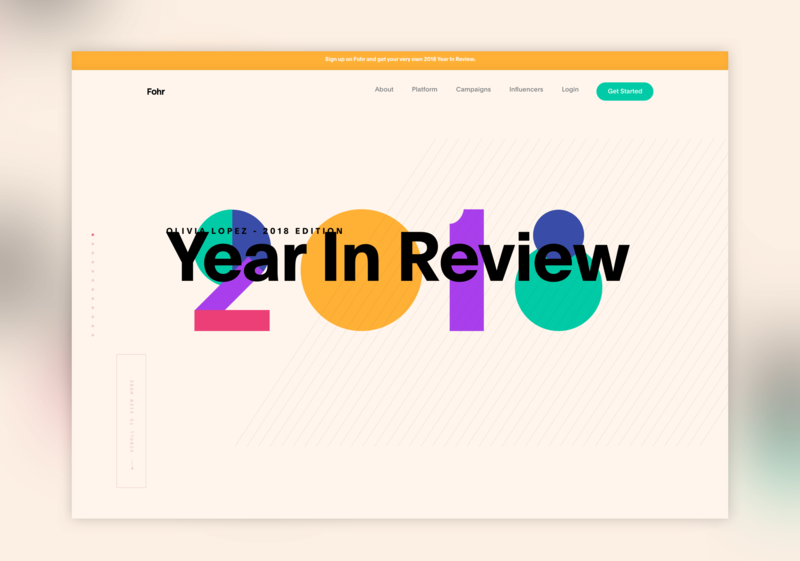 For 2018, we wanted to encourage influencers to share something more, so we created an in-depth, personalized recap of every influencer on the Fohr platform, full of valuable insights covering their year in review. 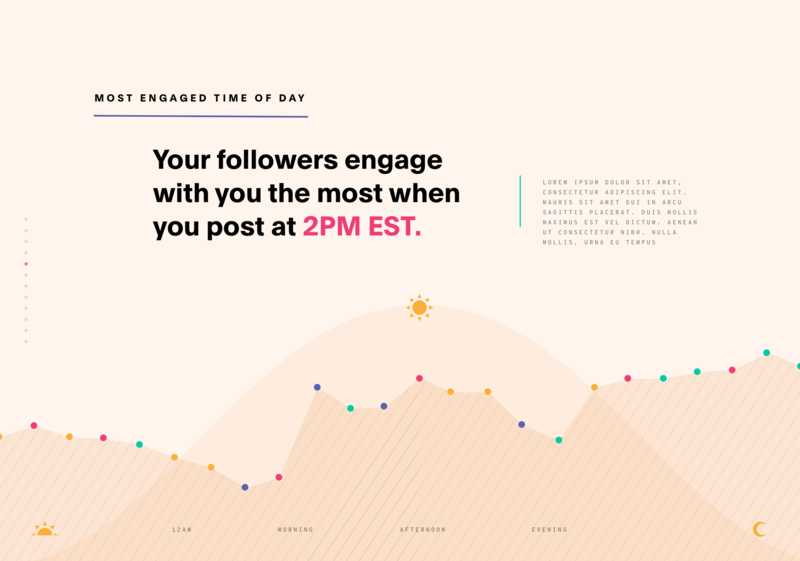 This included multiple data points, such as follower growth, most engaged time of day, most tagged accounts, most used colors within your photos, and more. 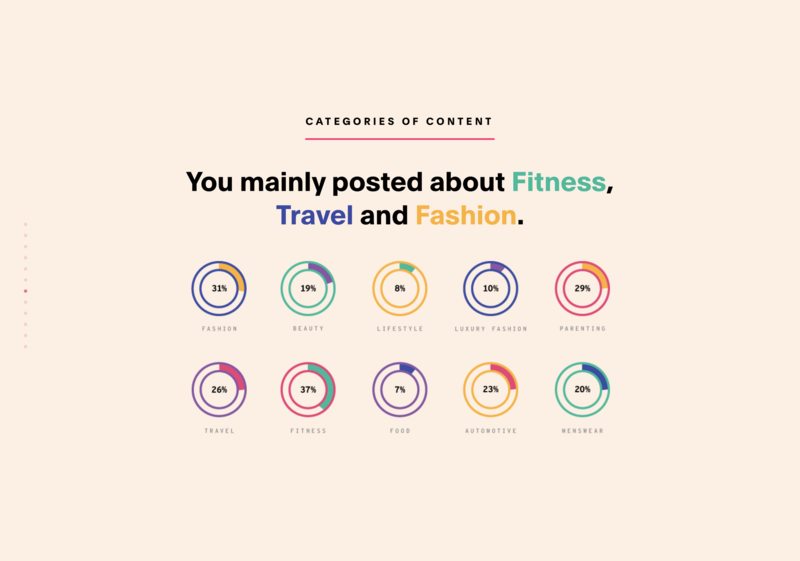 Fohr Content Approval - A better way for our clients to review and approve influencer content for their campaigns. 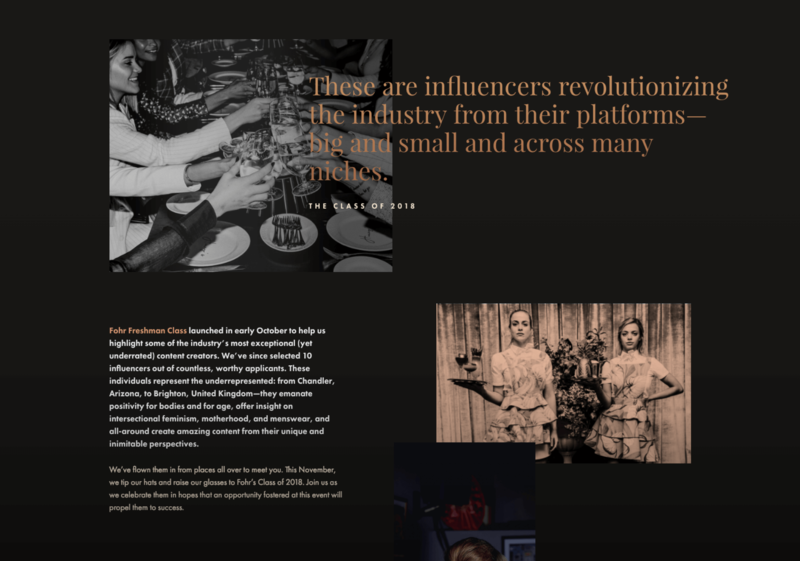 Before any influencer campaign goes live, customers typically want the ability to review influencer content and provide feedback prior to the content being published. 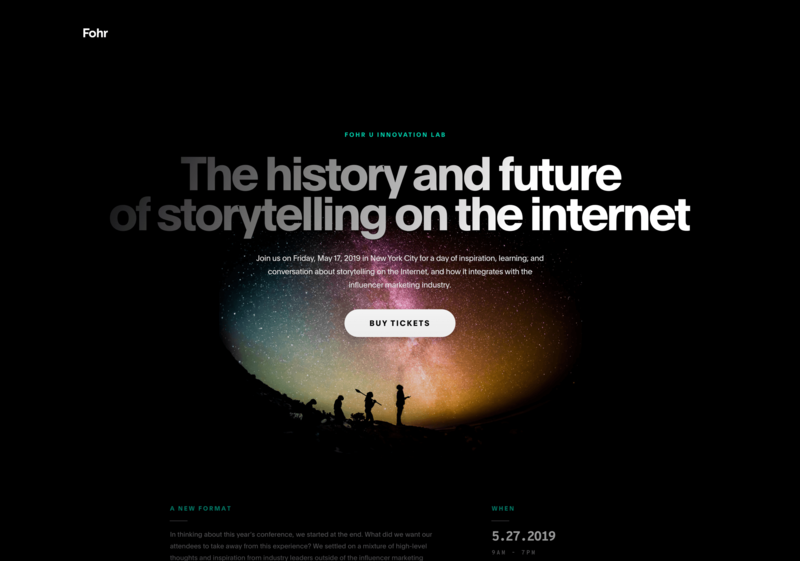 Up until now, that process has been a fairly jerry-rigged process - a hodge-podge of emails, google docs, and presentations. 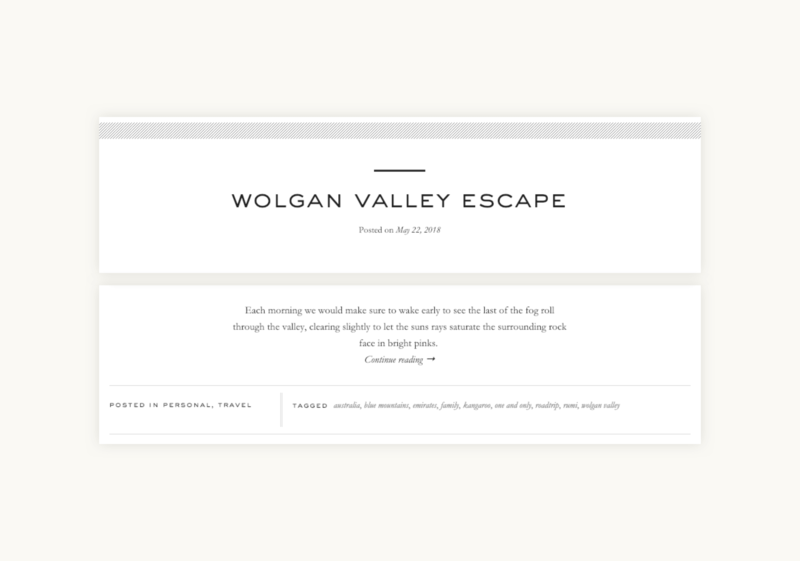 We've experienced the headache many times over, and in doing so, set out to solve the problem of content approval. 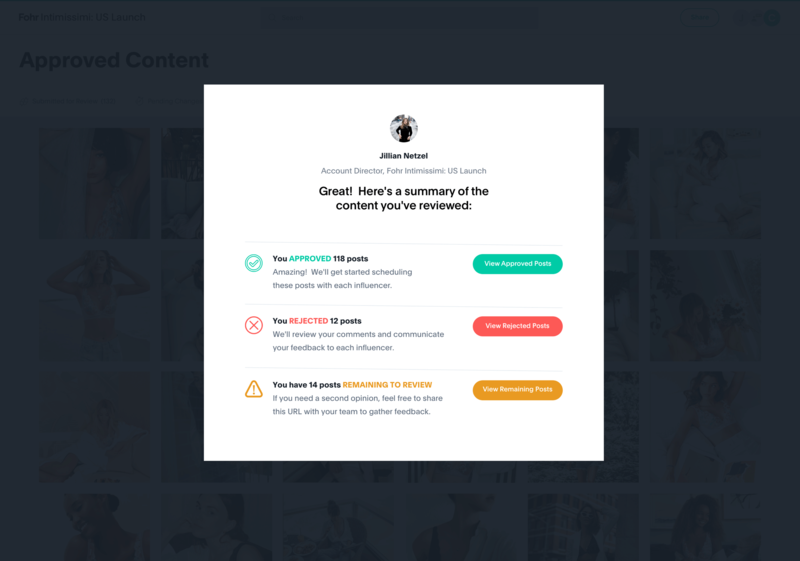 With this system, every participant within the content approval eco-system is empowered with the tools they need to do exactly what they need to do. 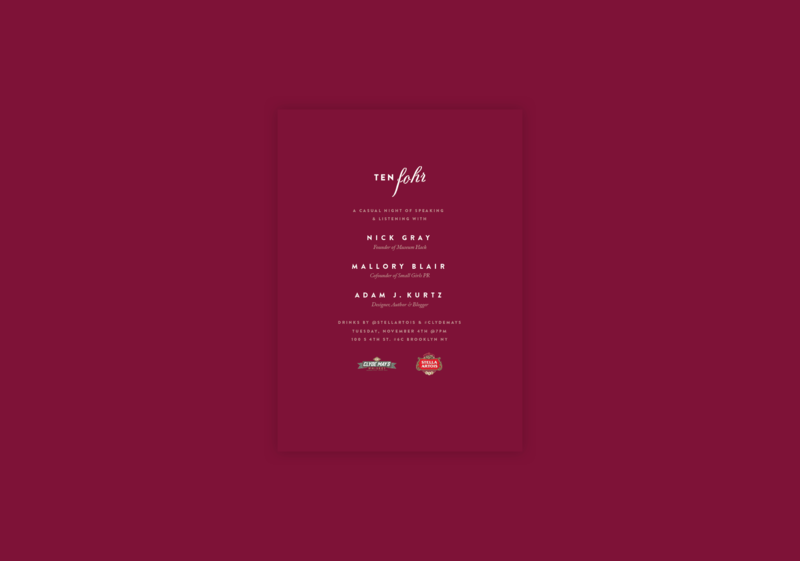 Fohr Marketing - A series of promotional landing pages. 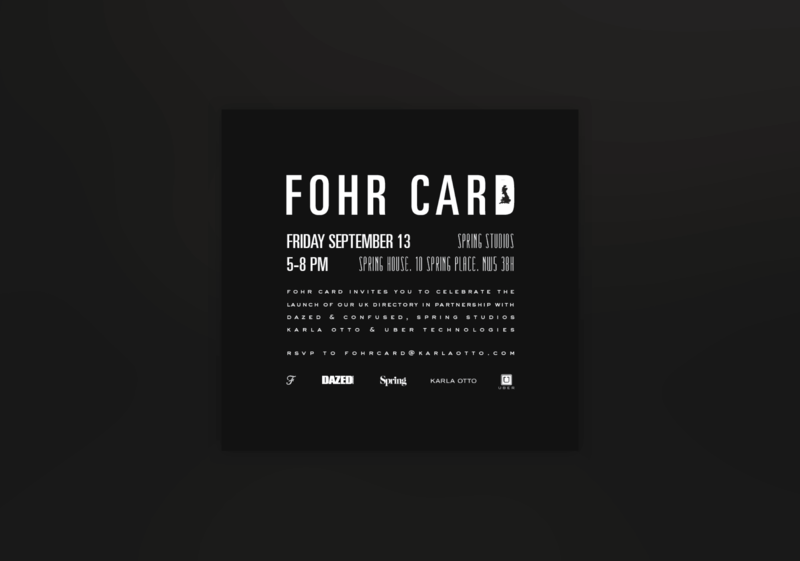 A selection of some of the marketing design work across our website, Fohr U Conferences - a series of education conferences for brands and influencers, and Fohr Freshman Class - a program we developed to uncover diverse, new influencers within the industry. 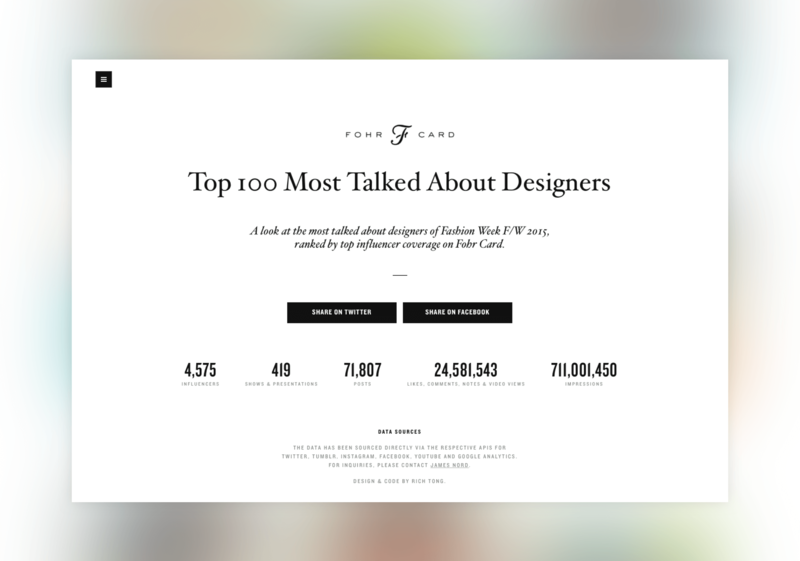 Fohr Fashion Week Leaderboard - The most talked about designers of Fashion Week F/W 2015. 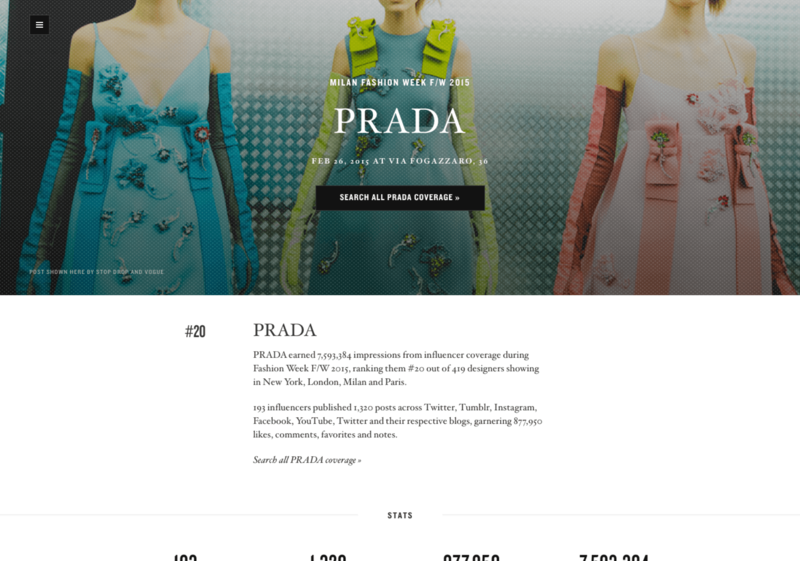 With thousands of influencers attending Fashion Week in 2015, covering the week in detail on their social media feeds, we created the Fashion Week Leaderboard - an analysis of the most talked about designers amongst influencers for Fashion Week F/W 2015. 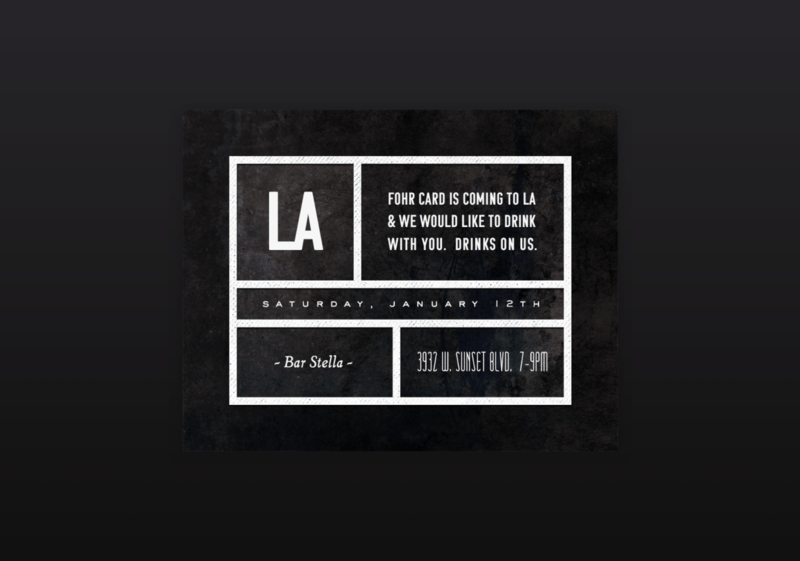 Event Invitations - A variety of ways to encourage people to drink with us over the years. 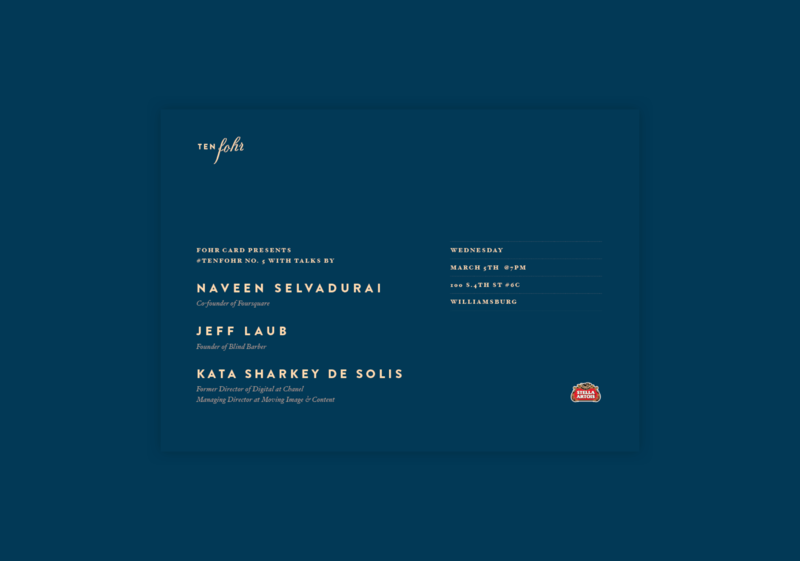 From our intimate TenFohr speaking series - where speakers come speak for 10 minutes about anything they're passionate about, so long as it's not their job - to our annual Birthday parties, here's a random sampling of some of the invitations I've designed over the years. 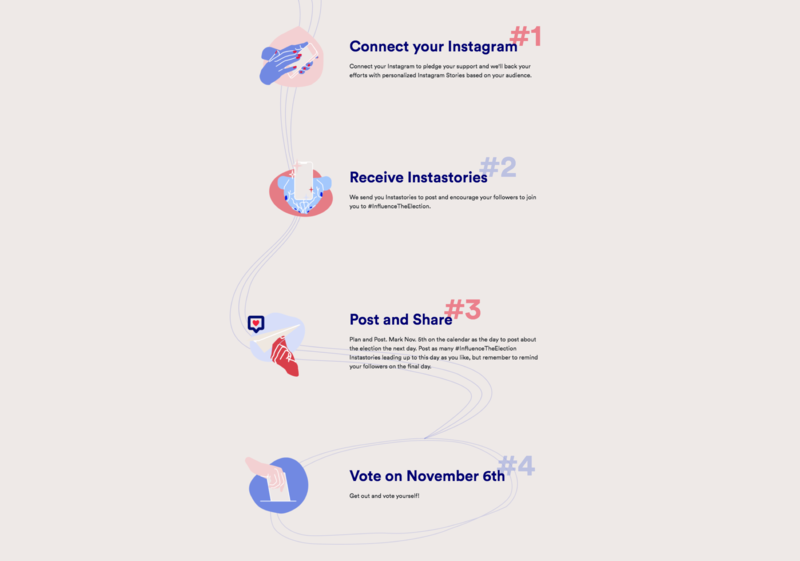 Influence the Election 2018 - An influencer campaign to influence the 2018 Mid-term elections. 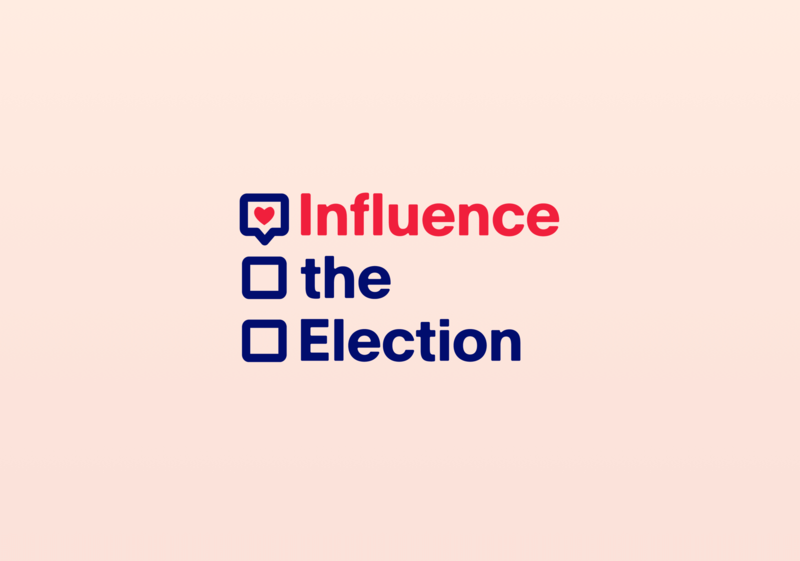 In October 2018, we launched Influence the Election, an influencer campaign to influence the Mid-Term elections. 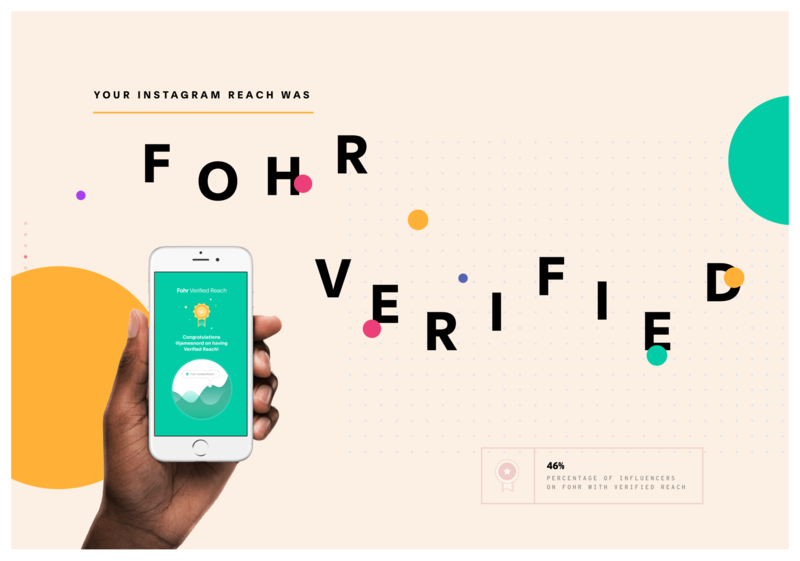 Playing off the ongoing news of Russia influencing the American election in a negative way, we decided to recapture the positive value of influence by leveraging the power of the 50k+ influencers on Fohr. 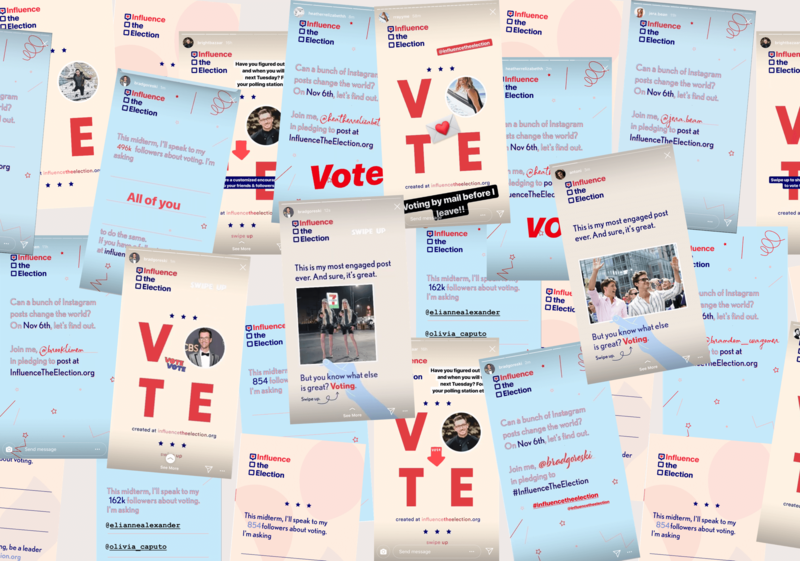 Over the weeks leading up to the November 6th, participating influencers pledged to share personalized Instagram stories, encouraging their followers to vote. 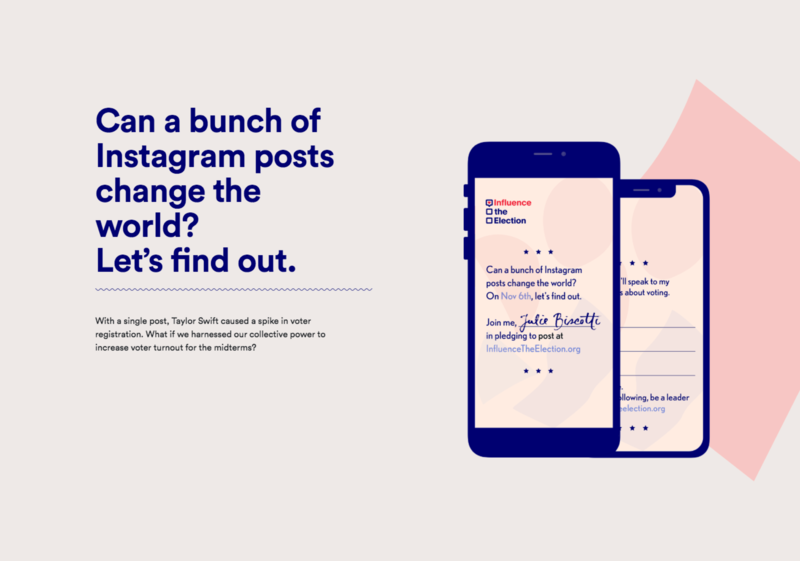 With the support of notable individuals including Instagram's Head of Fashion Partnerships Eva Chen, Julianne Moore, Brad Goreski, Nick Wooster and thousands more, the campaign reached a total audience of more than 100 million people. 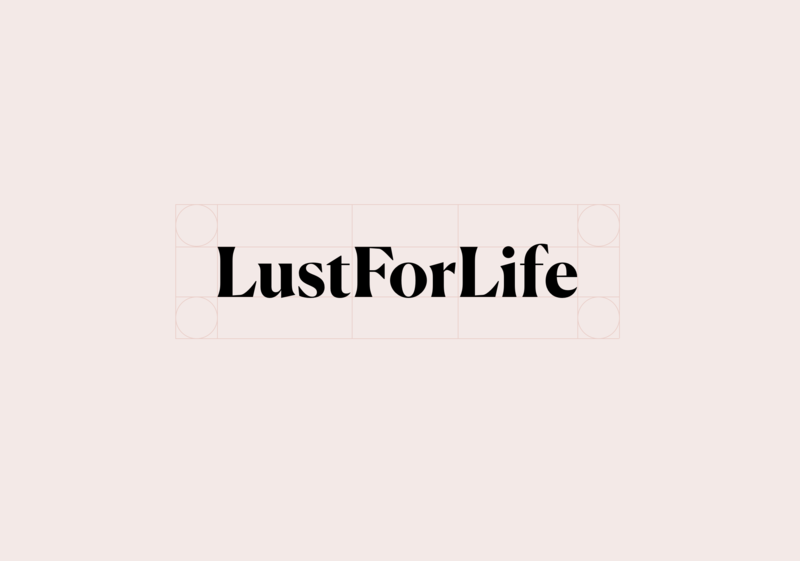 Lust for Life - The visual journal of Olivia Lopez. 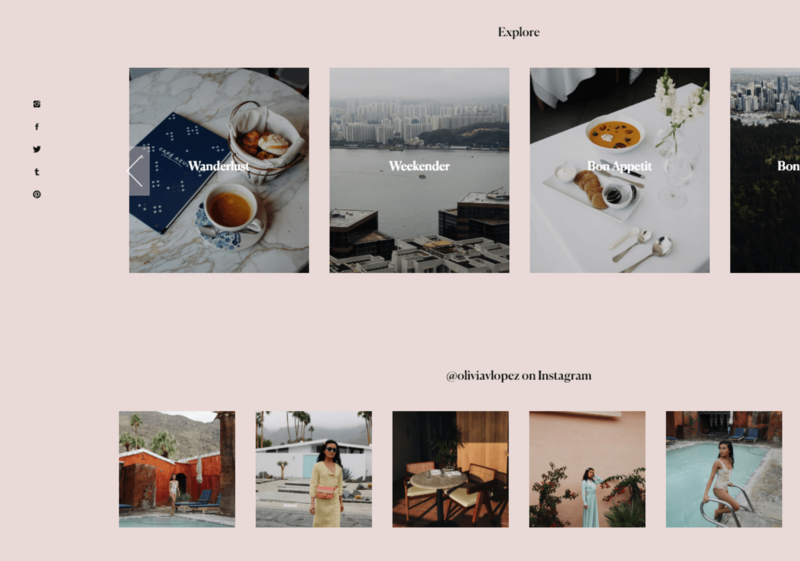 Olivia was looking to transition the design of her blog away from that of a typical blog, and towards more of a visual journal. 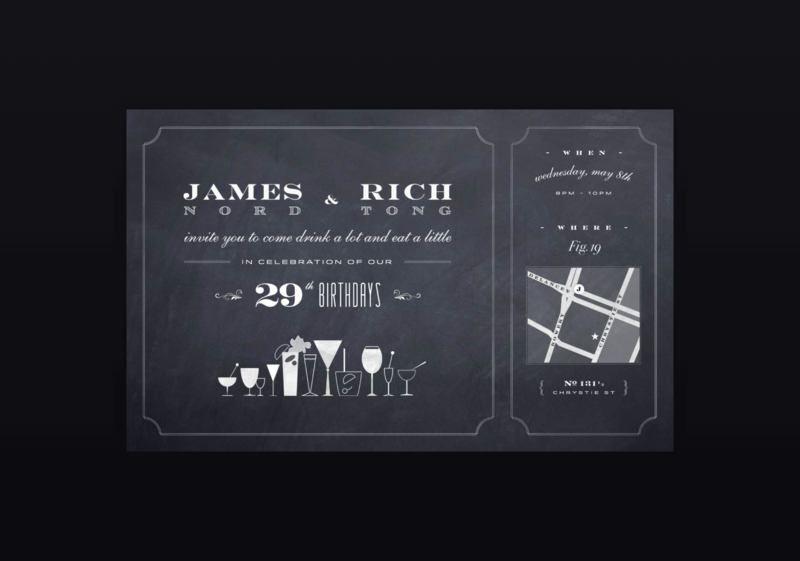 Thus, the redesign encompassed this ethos, embracing the concept of a minimalist collage. 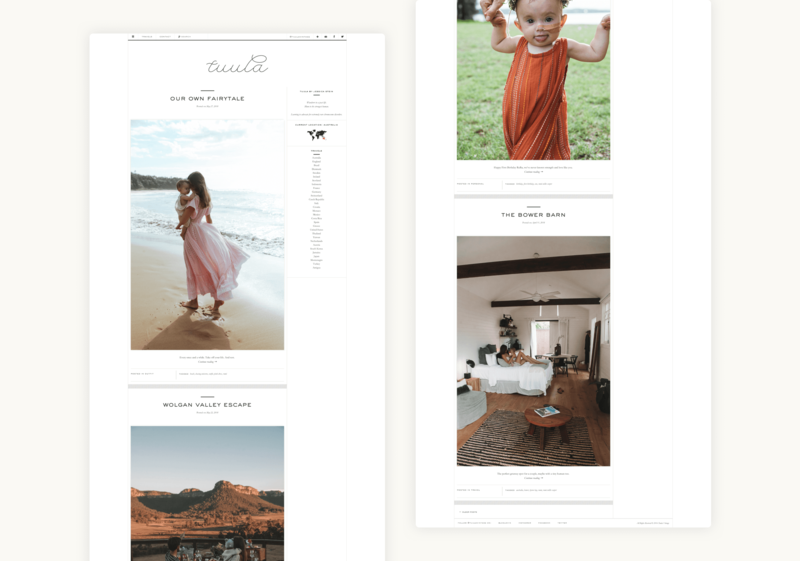 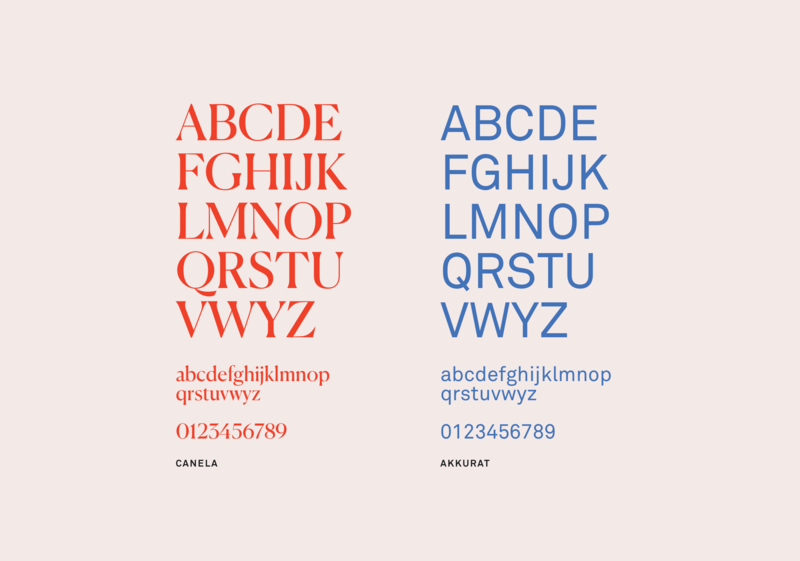 Tuula - The blog of Australian influencer, Jessica Stein. 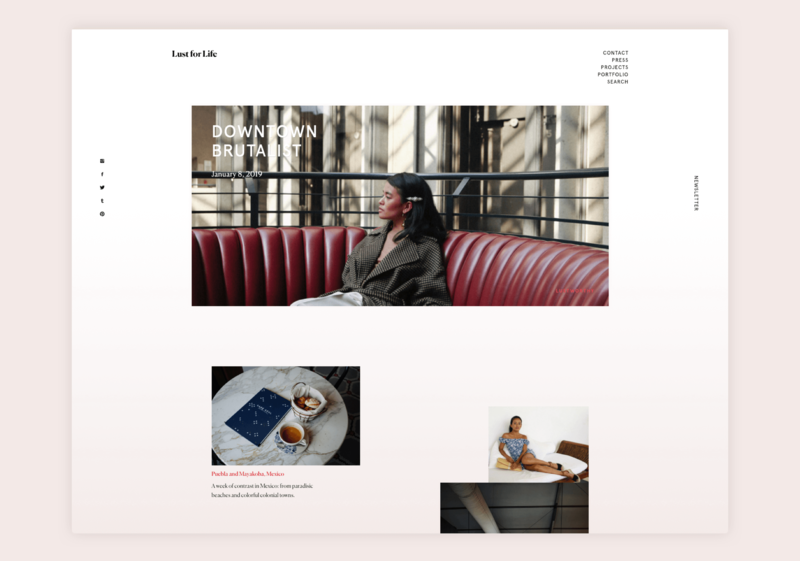 Moving away from being part of a publishing network to her own blog, Jessica wanted to establish a clean, unique visual identity - one that aligned with the luxury and calibre of her partners. 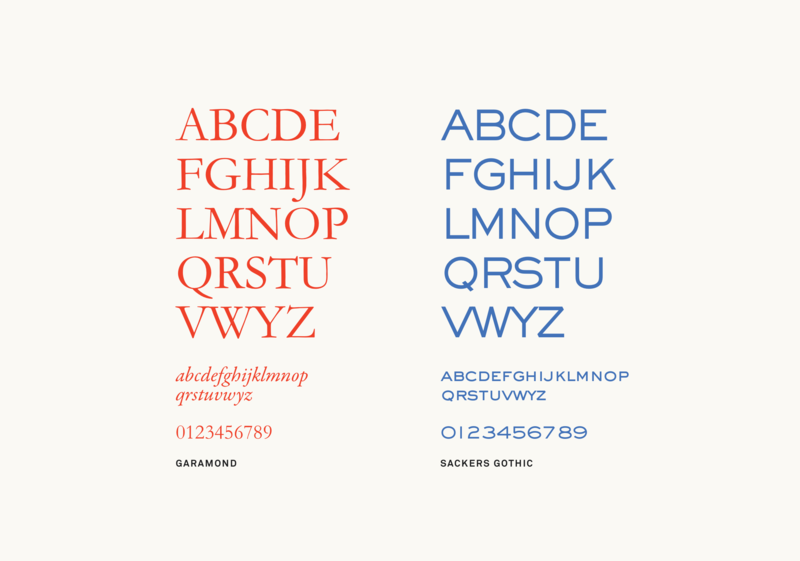 Through the highlighting of her beautiful large format photos, and the paired use of Sackers Gothic and Garamond, the design enabled her to do just that. 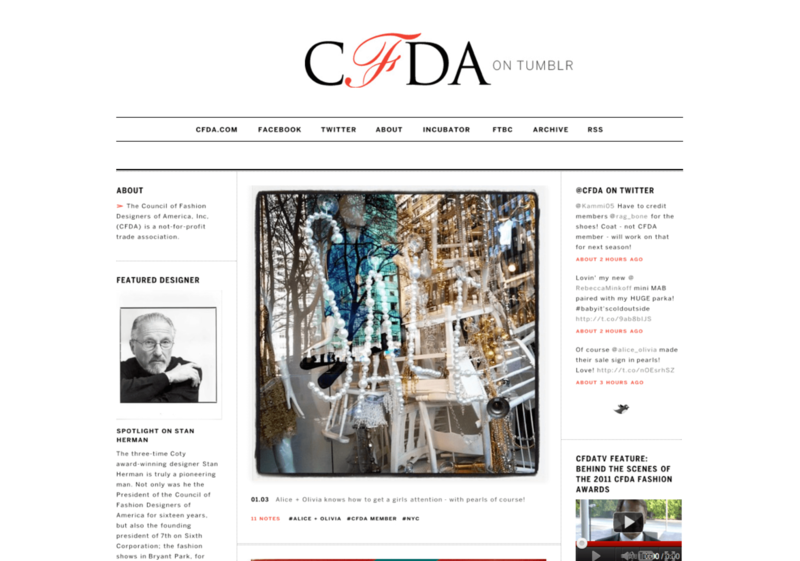 Tumblr Themes - Designed & built for Vogue, CFDA, Juicy Couture & Prabal Gurung. 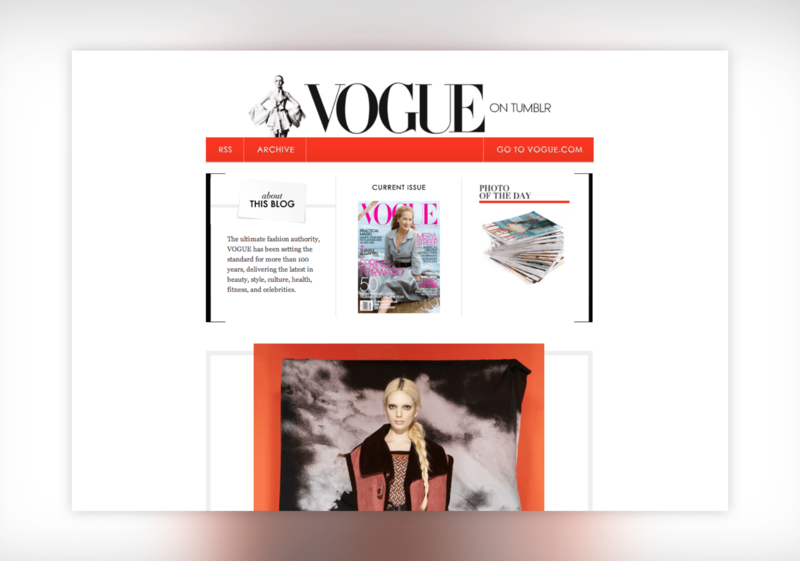 To help introduce them to the Tumblr community, I worked with each of the teams at Vogue, CFDA, Juicy Couture & Prabal Gurung, amongst others, to help create custom themes that were true extensions of each of their brands.